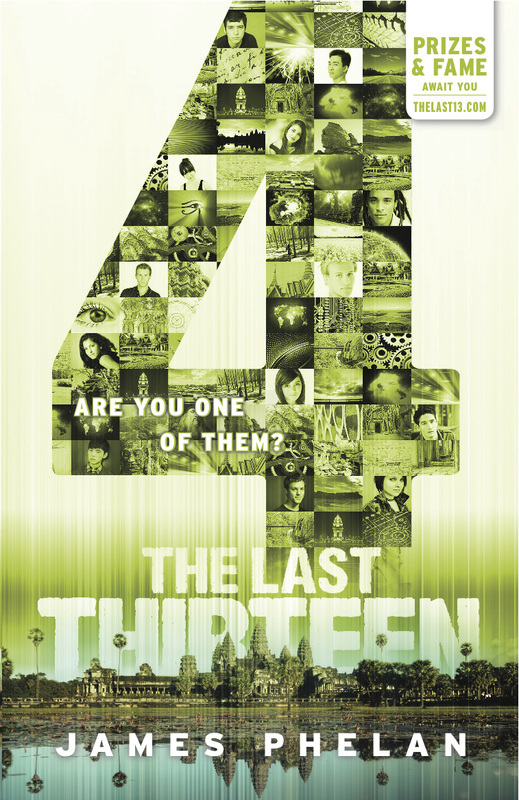 THE LAST THIRTEEN is a 13-part serialised thriller series for young readers (aimed at ages 8-15) and counts down from 13 to 1... this book, "4", is the 10th book in the series. You’re always going to be too late, boy. After a dramatic sea rescue in Japan, Sam meets powerful friends ready to help in his quest for the Dream Gate. He sets off for Cambodia, racing to find the last 13’s tenth Dreamer. Eva faces her worst fear in the Dreamer Doors competition, as her team desperately tries to find Solaris’ hidden Gears. Meanwhile Alex is headed out on unknown waters with the enigmatic Hans. At the legendary temple of Angkor Wat, Sam must deal with ancient traps to escape with the next Gear. But the cost will be unimaginable. Will Sam be able to go on? He must carry on the fight. The world cannot survive without him. The race has begun. 13 books. 13 nightmares. 1 destiny. Are you one of them? The bright orange sunlight shines off the tops of ancient stone buildings. Birds sing as they dart by me. Green jungle stretches below me, a vast blanket of trees swaying with the breeze, interrupted only by waterways and relics. This is paradise. And it feels like I’m floating over it, flying— seeing everything all at once. I’m on the ground now, standing in an elevated clearing in front of one of the immense temple palaces that surround me. I turn around to look for the voice, but I’m alone. ‘Sam!’ the voice says again. I spin around, scanning full circle. Suddenly, I see a tiny figure emerge from the trees below. She starts running towards me. I look around again, panicked that some threat is waiting—like I am—but there is no-one else. My panic makes the beautiful sculptures in the ornately carved stone tower feel somehow dark and menacing. watch Eva as she nears. She breaks into a smile, and then she is laughing. releases me from her hug. to the trees where she’s just come from. I watch as a group of people appear in the distance. First comes Alex, waving like crazy. It feels like forever since I’ve seen him. Gabriella, the Italian pop star, follows him with Xavier. Next comes the French art student, Zara, with Rapha from Brazil. Right behind them are Maria from Cuba, Cody from the States and Arianna, the feisty Russian gymnast. Issey, the pro-gamer from Japan, is at the back. And then I notice someone else. ‘Who’s that?’ I ask Eva. ‘That’s Poh,’ Eva says. ‘Poh . . . the next Dreamer?’ Eva nods. ‘But it can’t be, can it? I’m meant to find him,’ I say. Eva shrugs and stays silent. group, but they’re gone too. seems to whisper in the breeze. The lush jungle trees sway in unison. The ancient building to my back is casting a longer shadow over the rock-paved court. The sun is going down. But fast—too fast. Like I’m watching a time-delay sequence. I know he will be here. I know he is coming. Wake up, wake up, wake up . . . I open my eyes to a new scene. This is not a new scene. I’m in the same place, but seeing it from a far different viewpoint. I’m up high now, above the trees. I’m standing at the very top of the temple spire. Somehow I know now where I am. At the temple of Angkor Wat, to be precise. On top of the highest tower. the first time the majesty of the place—the trees, the grass lawns, the surrounding moat. I know I’m in a dream, that this may be where I have to go next. I sit and wait—listening, watching. But nothing happens. Time does not seem to pass. Birds fly, clouds move, leaves rustle, but it feels like everything is on a repetitive loop—nothing is going forward. Eventually, I close my eyes. When I open them, things will change. Bill is standing there. My best friend from my old high school. My best friend, who died in the house fire. We are at the temple forecourt. ‘You’re making this happen,’ Bill says. at the scenery—the birds still flying, uniform clouds are inching across the horizon, the trees swaying in the same unchanging rhythm. my spine like an electrical spark as a dark shadow is cast over me. ‘You’re not Bill!’ I jump to my feet and push him away. ‘But Sam, please, help me!’ Bill suddenly looks like himself again, now scared and reaching for me. But there is nothing I can do. It is too late. The flames are already surrounding us as Bill grabs my hand, franti- cally looking for an escape, but there is none.